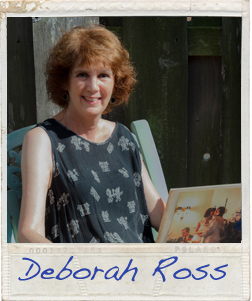 Deborah Ross, a not-yet-retired English professor at Hawaii Pacific University, moved to Hawaii from upstate New York in 1980, causing severe culture shock from which she has yet to recover. She now lives in a family-oriented suburban neighborhood in Waipahu—far from ideal for a single woman with grown children, though good for her dog, Genji—and is trying to figure out where the two of them should go for the next phase of her life. Meanwhile, while still tossing out the occasional academic paper, she tries to write amusingly about addiction, anxiety, Asperger’s—basically the whole DSM—believing that all these conditions, along with the rapidly increasing bereavements that come with aging, must have a lighter side. See her web page at http://www.hpu.edu/CHSS/English/Faculty/EFRoss.html. Read the first page of Deborah’s story!